I'm finally back after a week long vacation in Europe! You guys likely wouldn't know that, though, because I only write this article on Fridays and Sundays. Anyway, we're back in action, and we have a solid seven game slate tonight. 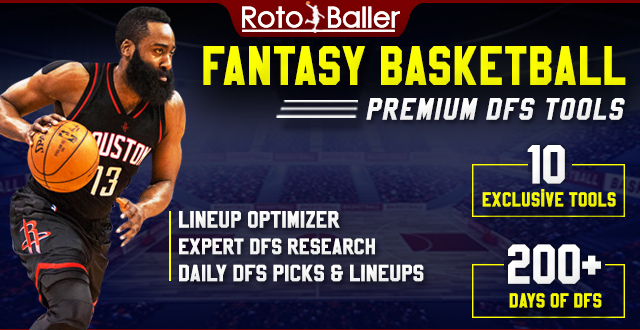 In this article, I will be providing you with my daily fantasy basketball lineup picks for DraftKings on 1/19/18. I'll point out some of the best values based on prices vs. projected production for each position. I'll also throw in a few possible tournament plays that I'm considering. You can also read more DFS advice and lineup picks for sites like FanDuel, and other sports too. Hit me up on Twitter @BalesSJustin with any questions or comments. I'm always open for an NBA DFS conversation. Let's get to it! Wall has been playing extremely well recently, averaging 25.4 points, 3.6 rebounds, 10.8 assists, 1.6 blocks, and 1.8 steals per game over the last 10 days. He has scored 50+ fantasy points in four of his last five games, including a 66 fantasy point performance against the Utah Jazz. Wall has played well against the Detroit Pistons in their only matchup this season, and he makes an elite option in all leagues tonight. LeVert has been a boom or bust option this season, flashing tremendous upside to go along with quite a bit of risk. He has scored 30 or more fantasy points in six of his last 10 games, while also averaging a 12.0/2.5/8.0/1.5 line against the Miami Heat this season. LeVert's recent struggles have kept his price tag low, making him a tremendous tournament option on this slate. Hollis-Jefferson continues to be underpriced, as he is averaging 14.7 points, 7.3 rebounds, 3.3 assists, and 1.2 steals per game over the last 10 days. He has struggled a bit with consistency recently, but he has been a better player at home this season. 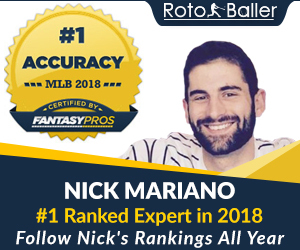 He is also averaging 32.3 fantasy points per game against the Miami Heat this season, and he is a fairly safe option that can also be used in tournaments tonight. Warren is dealing with a back injury, but he was able to practice yesterday, suggesting he will play tonight. He has scored 30+ fantasy points in nine of his last 10 games, including four games with more than 40 fantasy points. He was also able to dominate the Denver Nuggets in their only matchup this season. Warren has flashed more than enough consistency to be used in cash games tonight, while also displaying tremendous upside for tournaments. Labissiere was forced to sit out of Wednesday's game, but he is tentatively expected to return to action tonight. He is a high upside option that does not need big minutes to exceed value. Over his last 10 games, he has scored 29.25, 25, and 36.25 fantasy points in only 22, 16, and 28 minutes on the court. He could potentially play upwards of 25 minutes tonight, making him a high risk, high reward tournament option. Get a free trial of our powerful Premium Tools. Our famous DFS Cheat Sheets, and Lineup Optimizers & Generators with daily matchup projections. Win more. 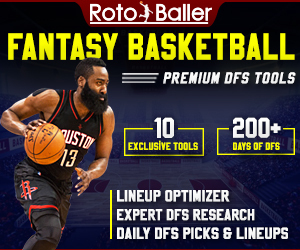 Try the most advanced lineup optimizer in daily fantasy sports.